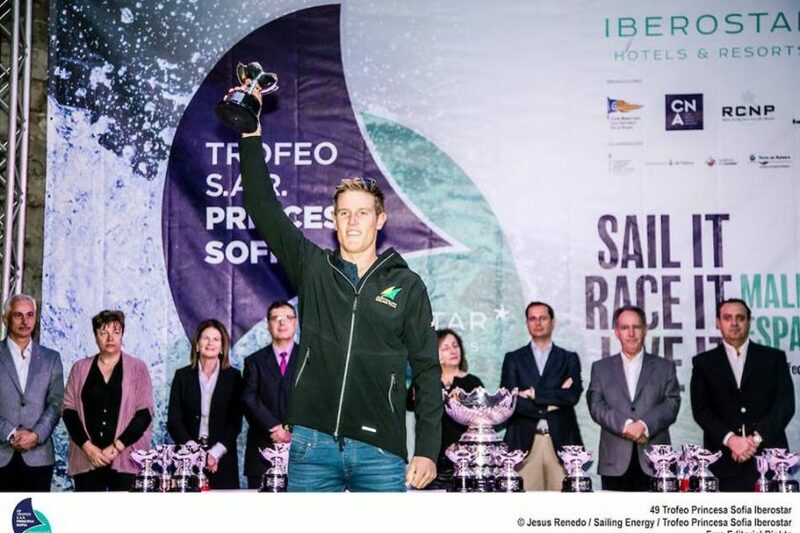 Palma de Mallorca, Spain – The final day of Trofeo Princesa Sofia saw a clash between offshore and thermal breezes, difficult conditions for medal races in Laser and Laser Radial fleets. Heading into the medal race, Great Britain’s Alison Young was sitting in third behind Marit Bouwmeester of the Netherlands. Bouwmeester dropped to second place after suffering a black flag disqualification the day before. 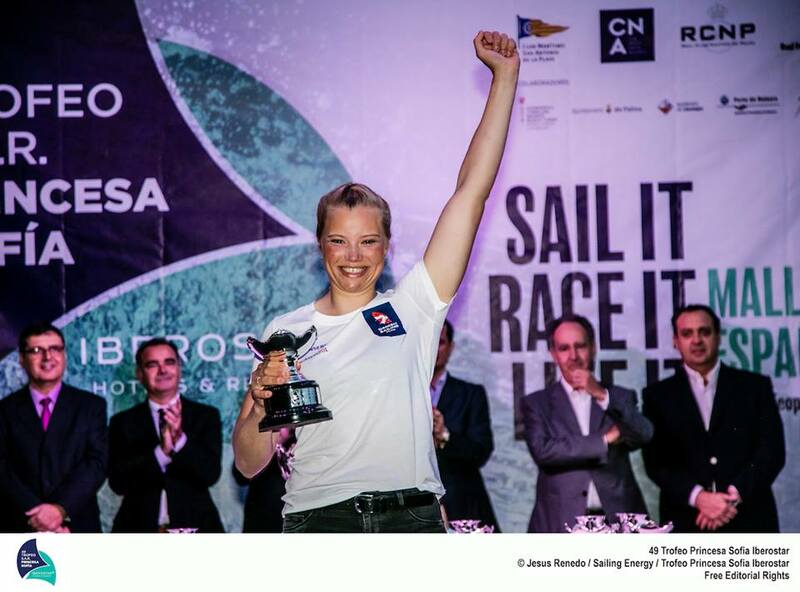 Denmark’s Anne-Marie Rindom was leading by 8 points, enough to secure the regatta title. Young claimed silver, ahead of twenty-year-old Mária Érdi of Hungary who managed to pass Bouwmeester and sail into third overall. In a very strong Laser Standard fleet, all eyes were on Australia as Matthew Wearn championed the regatta, ahead of all three Rio medalists. He went into the medal race with a 19-point lead and left Rio bronze medalist Sam Meech of New Zealand to second, and Rio silver medalist Tonci Stipanovic of Croatia to third. Australia’s Rio Olympic champion Tom Burton was sixth. Three of the Australian Laser sailors finished in the top eight. See full results, news, and videos.